The small town of Sand City comes alive this weekend during the 10th annual Sand City West End Celebration. This unique three-day event showcases the best in local talent in art, music and commerce. 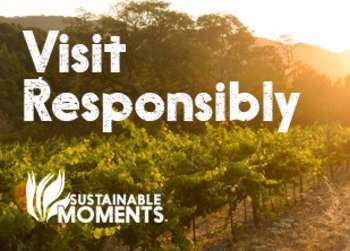 Visitors can indulge in great food and sample wine from wineries like Ventana Vineyards, Paraiso Springs Vineyards and Galante Vineyards. Several musical groups will perform including Jonah and the Whalewatchers, Matt Masih and the Messengers, John “Broadway” Tucker and Red Beans and Rice. The celebration will also highlight the “Green Scene” with special lectures and products. Friday-Sunday, 400-600 blocks of Ortiz Avenue, Sand City. Free admission. Leapin’ lizards! Annie the Musical is playing at the Outdoor Forest Theatre this weekend! The entire family will love the popular story of orphan Annie and her adventures with fellow orphans, Miss Hannigan and Daddy Warbucks. 7:30 pm on Friday and Saturday and 2:30 pm on Sunday. Santa Rita Avenue, Carmel. Carmel Plaza’s summer concert series Concerts in Carmel continues tonight with Terry Shehorn and the Long Distance Flyers. Terry and his crew will kick it old school and play hits from Elvis, the Beach Boys, Johnny Cash and Jimi Hendrix. For those who purchase a food/beverage ticket, the event will be paired with wine tastings from Pierce Ranch Vineyards and food will be provided by Bistro Beaujolais. 5pm-7pm, Ocean Avenue & Mission Street, Carmel. Free admission, $15 for food and beverage ticket. Wally’s Cocktail Combo will jazz the audience with jazzy swing music tonight at Monterey Plaza Hotel and Spa. Wally will play with his 4-piece band to create a carefree and casual atmosphere. 5pm-9pm, 400 Cannery Row, Monterey. The Henry Miller Library presents The Dodos with special guests The Luyas & See of the Bees under the stars tonight. The duo indie rock group will play hits, such as “Companions”, from their newest album No Color. 7:30 pm, Highway One, Big Sur. $25. Pierce Ranch Vineyards will mix wine and live music at their tasting room near Cannery Row. Julian Porte and Anamarie Rose will play Delta Blues and folk music while you enjoy a fabulous glass of Pierce Ranch wine. 8:30 pm, 499 Wave Street, Monterey. Hang out at Bullwacker’s tonight on Cannery Row for live rock n’ roll music from 5 Deep. 8:30 pm, 653 Cannery Row, Monterey. No cover. London Bridge Pub on Fisherman’s Wharf will host Rex Wheeler tonight. Bring your friends and enjoy Rex’s smooth electric acoustic tunes. 9 pm, 256 Figueroa St., Wharf #2, Monterey. No cover. Come on over to the Custom House Plaza in downtown Monterey for the 7th Annual Mopars by the Bay Car Show. The show will feature American Mopar autos, from old-school chromed-out classics to modern masterpieces with muscle. The event includes live entertainment, a raffle, and awards. 9am-5pm, Custom House Plaza, Monterey. Free admission. It’s the end of the month which means it’s time for Science Saturday at the Pacific Grove Museum of Natural History. Today tots will learn about rocks and minerals and have the chance to make their own jewelry. 11am-3pm. 725 Forest Avenue, Pacific Grove. Today is the last day to take advantage of Music on the Mall at the Del Monte Center! Steady Mile will round out the series with blues, rock and country music. 5pm-7pm, 1410 Del Monte Center, Monterey. Free admission. 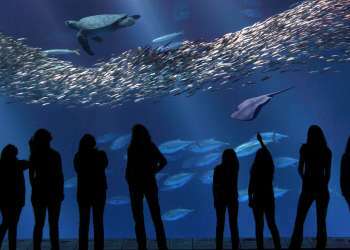 There are only two weeks left of the much loved “Evenings the Bay” series at the Monterey Bay Aquarium. Tonight jazz bassist Pete Lips will perform under the sea. 6pm-8pm, 886 Cannery Row, Monterey. Free with aquarium admission. A Band of Ninjas is back at Bullwacker’s to delight the crowd with their covers of country, pop, and ‘80s tunes. 8:30 pm, 653 Cannery Row, Monterey. No cover. Blues, punk and rock group My Goodness performs tonight at Jose’s Underground Lounge. The duo will play songs from their latest self-titled album. 9 pm, 638 Wave Street, Monterey. Head over to Big Sur’s Fernwood Tavern tonight where Zugh will be performing. The jazz and reggae jam band has a whopping 11 members so you know the show will be entertaining! 9 pm, 47200 Highway One, Big Sur. No cover. Like Americana and folk rock? Then head to London Bridge at Fisherman’s Wharf and check out Casey Frazier. The original singer-songwriter has performed with the likes of Kenny Rogers and Mandy Moore and has written lyrics for Tim McGraw, Rascal Flatts, and Keith Urban. 9:30 pm, 256 Figueroa St., Wharf #2, Monterey. No cover. Join the Monterey Peninsula Regional Park District and check out the “other” side of Garland Ranch. Hikers will hike up the Gabilan, Spring, and Saddle trails and will stop for lunch at Veeder Pond. The hike is an intense 4 miles and is expected to last 4-5 hours. Don’t forget water, lunch, snacks and hiking boots. 10 am at East Garzas Road Trailhead, Carmel Valley. Head over to Marina for Otter Day at the Marina Certified Farmers&apos; Market. The market is dedicated to all of the returning CSUMB students and will include live music, a fashion show, a scavenger hunt and of course a fabulous market full of fresh produce. 10am-4pm, 215 Reservation Road, Marina. Free admission. Feeling the heat? Chill out at the Big Sur River Inn today with Along Came Betty. The quintet plays relaxing jazzy tunes that will melt the stress away! 1pm-5pm, Highway One at Pheneger Creek, Big Sur. No cover. Don’t miss another “Evenings by the Bay” tonight. The collaboration between the Monterey Bay Aquarium and the Monterey Jazz Festival continues with a performance from jazz pianist Bill Spencer. 6pm-8pm, 886 Cannery Row, Monterey. Free with aquarium admission.